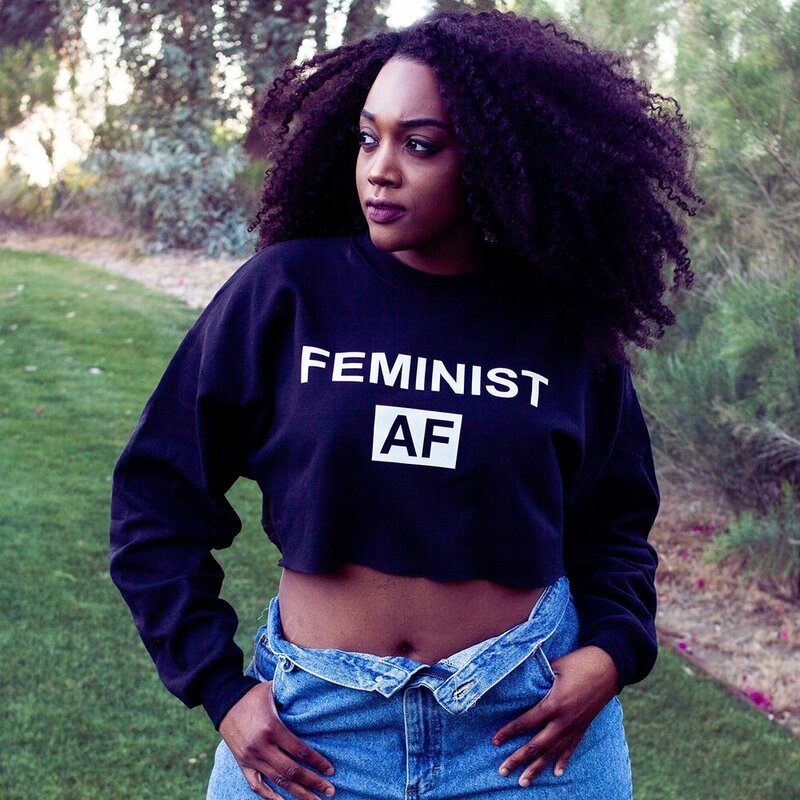 Buzzfeed Producer Jazzmyne Jay Rocks Body Love While Doing a Video Segment "Women Weight Themselves on Camera For the First Time." Cancer Amanda Lacount reps our Hips.Thighs.Curves.Breasts.Booty tee. This video was posted by Choreographer Bria Friedman and received over 5million views on Instagram. Youtuber Dani DMC shows off her hips & thighs while rocking our gray hips.thighs.curves.breasts.booty gray tee while doing a jean review for girls with big booties! Buzzfeed Producer Jazzmyne Jay Rocks our Body Love sweater crop while trying on Halloween outfits with other girls from Buzzfeed.